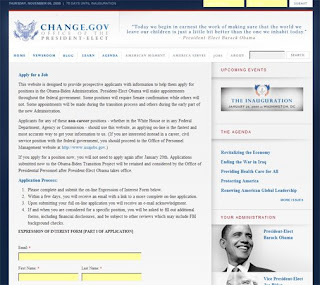 Asking for citizens to apply to work for the administration. Amazing. AND they also put the whole transition guideline document on line so that people can learn what happens how it happens and why! Share your vision of America here. Amazing. I didn't expect this so quickly. I will gladly serve at the pleasure of this president.